Previews, reviews and breaking news in the Albertan sports scene. This week on #InsideTheCru, TSN1260's Tyler Yaremchuk is joined by Crusaders GM Kyle Chase to talk about the teams season & their next round of recruits. Below the Ice is a proud member of the Win Column Sports Network. Tune in to the WCSN for previews, reviews and breaking news from the premier franchise of the Alberta Junior Hockey League! Episode 13 of Conversations With Love is LIVE! It's been five months since Kayla Jaye last appeared on the show, and since her last appearance, it's been a whirlwind few months for the former RCW Women's Champion. The now-former Envy has split from Pride, taken on a new name and started off solo for the first time under the Real Canadian Wrestling banner. Tune in and get the exclusive first interview with Kayla Jaye and your host Spencer Love! Conversations With Love is a WCSN exclusive. Visit wincolumnsports.ca for all your previews, reviews and breaking news in Western Canadian wrestling. On this week's edition of Total Nonstop Anarchy, Andre and Danimal chat about the NWA Total Nonstop Action PPV #11. Tune in as the two give their thoughts on the show, including a Lo-Ki/AJ Styles/Jerry Lynn main event for the X-Division Championship! Total Nonstop Anarchy is a proud member of the WCSN. Visit www.wincolumnsports.ca for previews, reviews and breaking news in Albertan wrestling. You can check out the entire history of NWA-TNA on the Global Wrestling App, available on iTunes and Google. Remember, you can catch all the wrestling action from the best promotions in Alberta, as part of the largest independent wrestling V.O.D service in the world - PowerslamTV! Use the code WCSPORTSCA at when signing up for a free month of PowerslamTV! Have a spare moment? Spend it with Meniac in the return of the Meniac Pay-Per-View Podcast Party as he's joined by Mrs. Meniac and Pride for WrestleMania 35! Tune in as the trio discuss their opinions on this year's Show of Shows in real-time, only on the WCSN! A Moment with Meniac is a proud member of the WCSN. Tune in to wincolumnsports.ca for all your previews, reviews and breaking news in Western Canadian wrestling. Remember, you can catch all the wrestling action of tagStruggle on Powerslam TV http://powerslam.tv The World's Largest Indy Wrestling Video on Demand Site!!! Use the code BACKBREAKER when signing up for a free month's membership to Powerslam TV!!! And, A OFFER FOR LISTENERS ON CHECKING OUT SOME GREAT VIDEO FROM BACKBREAKER MEDIA. Check out the site at backbreakervod.pivotshare.com. Over 150 hours of content available for just $5.99 a month. And more to be added soon. Use the code ALBERTAWRESTLING at checkout for not only a free 2-week trial but 50% off your first 3 months subscription. 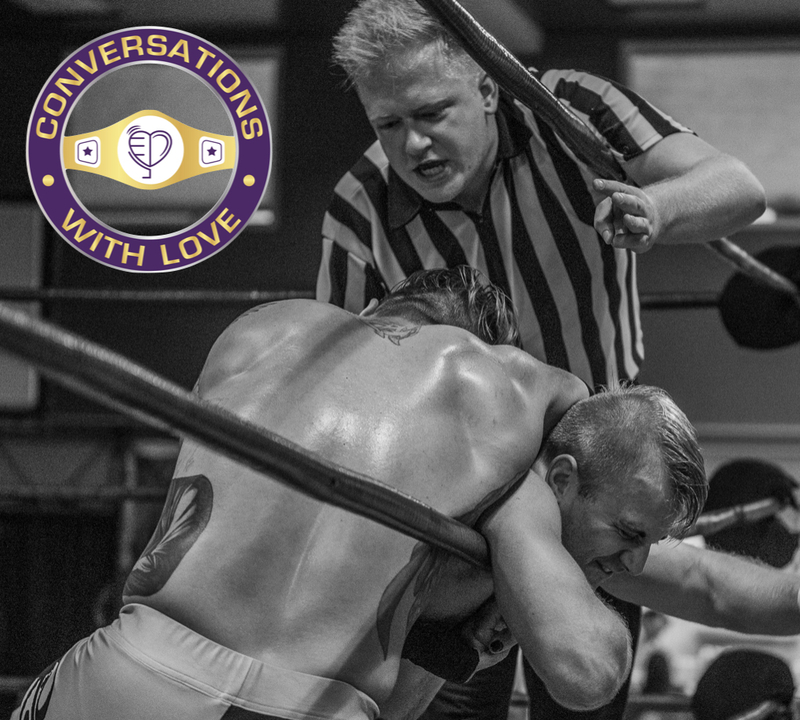 On this week's episode, the Brothers of Discussion chat about Pro Wrestling YEG, the first-time ever event with proceeds benefitting the Kids With Cancer Society. It's a stacked card with a ton of Edmonton favourites, and Hayden and Spencer break down the card. The two also chat about WWE's return to Edmonton this summer, and discuss the abundance of Albertan talent on this year's WrestleMania card. It's the latest edition of the flagship podcast of the Win Column Sports Network - it's Over the Top Rope! Below the Ice is a proud member of the WCSN. Episode 12 of Conversations With Love is LIVE! In this week's edition of CWL, Spencer chats with one of the standard bearers of the Alberta independent wrestling scene, the PWA Original Marky! Listen in on the WCSN as the two chat about the Alberta indy scene, his beginnings in pro wrestling, being a part of the inaugural PWA show and much, much more! Just in time for WrestleMania, the Brothers of Discussion return to chat about the PWA 18th-Anniversary Show in Edmonton on March 23. Tune in as Spencer and Hayden Love chat about the critically acclaimed event, including the main event that Cody Rhodes, Will Osprey and more are talking about, Jeff Cobb vs. "The Omen" Gabriel and one of the finest Last Man Standing matches in the provinces' history. It's only available on Backbreaker Media, a proud member of the WCSN. This week on #InsideTheCru host Tyler Yaremchuk recaps the first four games of the Crusaders series against the Spruce Grove Saints & chats with Zach Kaiser on his decision to commit to UMass Lowell. Episode 11 of Conversations With Love is LIVE! Following a successful PWA 18th-Anniversary Show, Spencer sits down with one of the veterans of the Alberta independent wrestling scene, "The Omen" Gabriel! Listen in as the two chat about his beginnings in wrestling, his attraction to "gimmick" wrestlers, facing off against Jeff Cobb, his thoughts on Michael Richard Blais and more - exclusively on the Win Column Sports Network!